What are the absolute and relative? What are their specific features? What is the main distinction between them? An investigation into the roles of the terms absolute and relative as they pertain to human mentality is one of the most difficult problems of philosophy. The absolute and the relative denote independence and dependence, and any sphere of real essence cannot exist without a certain degree of independence and dependence (i.e., without the absolute and the relative). Every field of science implies a certain level of the absolute and relative. The author reviews and gives a detailed analysis of the structure of essence – real essence and special essences; he investigates the source of relativity in the empirical knowledge, pre-scientific knowledge, scientific knowledge and philosophical knowledge. It is presented that human knowledge is relative by itself, although in most cases, consciously or mainly unconsciously, humans creates the absolute, neglecting the relative nature of reality and take into consideration only absolute aspects in practical and mental activities. Thus, the absolute created is the psuedoabsolute, which, by virtue of its human origins, is relative. However, it functions in both the practical and theoretical life of homo sapiens as a genuine absolute. Hence, the psuedoabsolute is a relative absolutized by people. The psuedoabsolute is a dialectical unity of the absolute and relative and, as a “third reality,” plays a great role in the spiritual life of humankind. 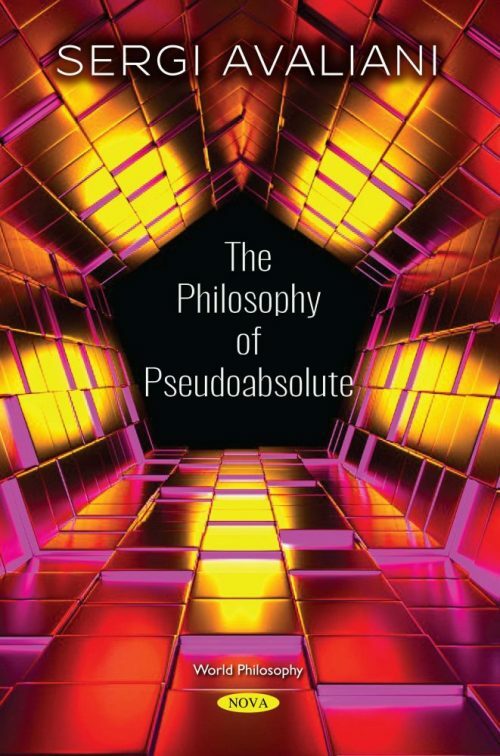 The author presents his theory of the pseudoabsolute, its concept and form, and investigates the pseudoabsolute nature of the human mental world (cognition, value, faith) as one of its fundamental regularities. The whole range of problems of gnoseology, epistemology, axiology and religious faith are interpreted from the standpoint of the philosophy of the pseudoabsolute. The book represents a comprehensive account of the principles of the philosophy of the pseudoabsolute and is intended for readers interested in the issues of theoretical philosophy. It is also meant for a wide range of readers interested in the relative and absolute nature of human mentality. The book represents a comprehensive account of the principles of the philosophy of the pseudoabsolute and is intended as for readers interested in the issues of theoretical philosophy, but also for a wide range of readers interested in the relative and absolute nature of human mentality.